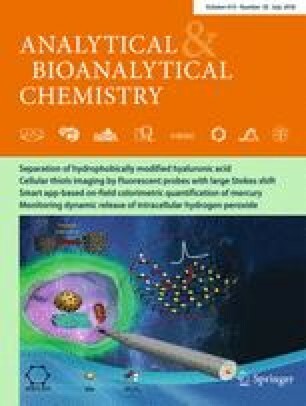 A simple and readily available fluorescent probe is needed for the real-time monitoring of endogenous cysteine (Cys) levels in living cells, as such a probe could be used to study the role of Cys in related diseases. Herein, we report the first fluorescent probe based on carbon dots (CDs-FITA) for the selective and ratiometric imaging of endogenous Cys in live cells. In this ratiometric fluorescent probe, a fluorescein derivative (FITA) that recognizes Cys is covalently linked to the surfaces of carbon dots (CDs); employing CDs greatly improves the water solubility of the probe. Acrylate on FITA is selectively cleaved by Cys in aqueous solution under mild conditions, leading to a dramatic increase in the fluorescence from fluorescein. The probe therefore allows the highly selective ratiometric fluorescent detection of Cys even in the presence of various interferents. The as-prepared CDs-FITA showed excellent performance when applied to detect Cys in blood serum. In addition, due to its negligible cytotoxicity, the CDs-FITA can also be utilized for the real-time monitoring of endogenous cysteine (Cys) levels in living cells. Hong Wang and Peisheng Zhang contributed equally to this work. The online version of this article ( https://doi.org/10.1007/s00216-018-1091-x) contains supplementary material, which is available to authorized users. We gratefully acknowledge the financial support provided by NSFC (project nos. 51603067, 51773056, and 51373002), the Hunan Provincial Natural Science Foundation of China (project nos. 2018JJ3143 and 2016JJ5005), the Open Project Program of State Key Laboratory of Chemo/Biosensing and Chemometrics (project nos. 2016019, 2013008), and the China Postdoctoral Science Foundation (project no. 2017 M622571).